By mid-May arrangements to rescue Woolwich Arsenal were in place with directors of Fulham now sitting on Arsenal’s board, and the guarantee being given that the club would continue to play at Plumstead for at least a year. And yet despite this, speculation continued in the local and London newspapers suggesting that the directors of Fulham FC who were also on the Woolwich Arsenal board would deliberately let Arsenal “die” financially, so that they could then move back to their original proposal of amalgamating the two clubs into one. It was a thoroughly nasty piece of creative journalism, and had no foundation in truth. Besides anything else, this would only work to Fulham’s advantage if Arsenal continued to survive in the First Division, and Fulham Arsenal (or whatever it would be called) could take on that first position place. Otherwise a deceased Woolwich Arsenal would have nothing of value to give to Fulham, for it was doubtful if any Woolwich Arsenal fans would make the long trek west to go and see Fulham – the club that would be blamed for killing the Arsenal. Such was the artificial excitement about these possibilities (despite all that had been agreed with the Committee) that the speculation then ran on to issues about what Chelsea and Tottenham (and indeed many clubs further afield) would do in the light of such developments. The argument then spread to the notion that if Arsenal ceased to exist which club could “inherit” their position in the first division. It was unlikely to be Fulham. It was of course all nothing but wild speculation. 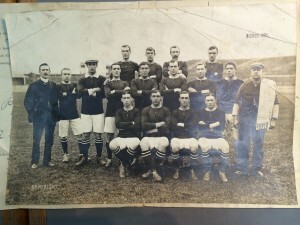 The deal had been agreed and Woolwich Arsenal would play on at Plumstead, and ground sharing and amalgamation of the clubs had been ruled out at least for one season. On 19 May 1910 Henry Norris started the hunt for new investors to save Arsenal, offering a new company which would part-own the club along with himself and William Hall. However although the local supporters made a lot of fuss about saving the club, when it came to putting hands in pockets, they were not that excited by the idea. The Football League made it clear they wanted Woolwich Arsenal’s finances sorted out by the date of its AGM, 13 June 1910, which meant the new investors needed to be in place by then. 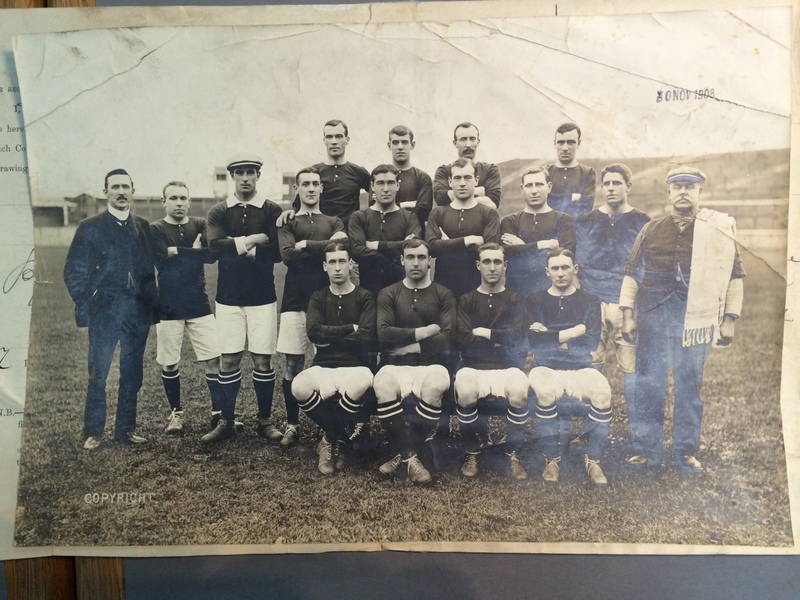 Thus the board now sent out a letter to all the people who had applied for shares in the first attempt to refinance the club, stating that anyone who applied for five or more shares and who bought now, would have the guarantee that not only would Woolwich Arsenal stay in Plumstead for a year, if the club then moved William Hall and Henry Norris would then buy back the shares at face value (£1 each), if so required. Thereafter (although it is difficult to know the date) Henry Norris extended the date to which he guaranteed to keep Arsenal at Plumstead from one year (as agreed with the League Management Committee) to two years. I suspect this offer was made sooner rather than later, because the only purpose of it was to get more people to sign up to the Fulham backed Woolwich Arsenal. On 20 May 1910 the funeral of King Edward VII occurred. Co-incidentally on this day the Earth passed through the tail of Halley’s Comet. The comet had been visible in the day as well as night sky for a week, and the event was seen as heralding all sorts of disasters, as well as the Second Coming of Christ, although (as you will perhaps have realised) none came to pass. All that did happen was that Allen withdrew around this time from the third board of directors, and instead spent his time keeping Fulham afloat. Athletic News suggested that new board members would appear at Woolwich Arsenal shortly, but none did, either because none volunteered or because the Fulham men were anxious not to allow themselves to be outvoted in subsequent board meetings on the question of moving the club. In effect this meant that Norris and Hall were now in charge and the new share register was drawn up. This showed Hall and Norris having 240 shares each and and George 100 shares. There were a number of other shareholders but all of them had small shareholdings. Although there were numerous financial matters to handle, Henry Norris also started to consider the club he had just taken over, and on 8 June he had a meeting with Arsenal’s manager George Morrell to say that his job was safe despite missing relegation by just one place and two points in the season just finished. It is therefore worth pausing for a moment to take note of the man Norris chose to see Arsenal through this tough period. George Morrell was born in 1871 so was 39 at this moment in Arsenal’s history. He had been secretary of the reserve team at Rangers, and then aged 33 had become manager of Morton in 1904, where he stayed to January 1908. On approx 25 January that year he became Arsenal’s manager. The information we have on Morrell is kindly provided by David Ross and comes from his book “Gaffers”. Apart from their first season in 1900-01, Morton had struggled more or less constantly since joining Division One of the Scottish League and in Morrell’s first season they were second bottom of the fourteen-club league. Fortunately there was no promotion or relegation and with the division expanded to sixteen clubs, they were easily re-elected and Morrell’s Morton moved up to tenth. They were thirteenth the next season in a division that now contained eighteen clubs and were eleventh in the table when he moved south to Arsenal – who were clearly looking for a manager who was used to cost cutting. This note (above) is not correct. William Wilton was secretary-manager at Rangers and when the team was no longer picked by committee Wilton would have had full power. Morrell’s capacity was under Wilton. Morrell was (according to Rangers historians and the newspaper snippet below) secretary of the Rangers reserve team and no more than that. Another newspaper says Morrell was expected to take up duties at Woolwich “a fortnight hence” – that is after the 3rd. January announcement – so mid to late January, 1908. One newspaper says there were 60 or so applicants to succeed Phil Kelso. In April, 1908 Morrell travelled to Glasgow with Arsenal’s James Sharp (defender) for the Easter home international matches. ‘Critic’ in the Dundee Courier (April 4 – page 6) was anticipating Sharp to be a fixture at Ibrox next season and that the transfer was expected to take place in time for the Old Firm derby on 25th. April – so there’s another Rangers/Arsenal connection. 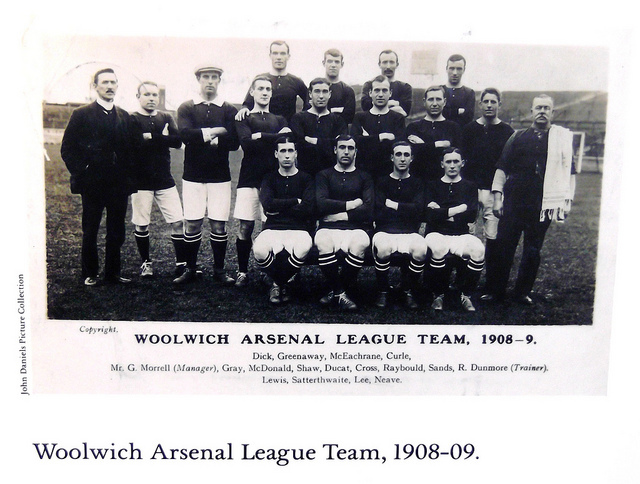 And moving on to pictures, here we have George Morrell’s Woolwich Arsenal outfit of 1908/09. George Morrell remained with Arsenal until the wartime shutdown in 1915, and thus was Arsenal’s first manager at Highbury, being there for the first two years of the club in north London. Upon the cessation of the Football League in April 1915 Morell returned north to Third Lanark – Scottish football continuing during the hostilities, while the English League ceased to operate. Third Lanark were mid-table in his first two seasons but he took them into the top half in his last two years in charge. He later worked as a clerk in Glasgow Corporation’s Public Assistance Department. With the issue of the manager now done and dusted, Henry Norris informed everyone that all the ground staff were also confirmed in their job, (and according to Sally Davis one of these men, Alexander Rae, was still with Arsenal in the Chapman years, in charge of match-day hospitality). But then Henry Norris came up with a new ploy – or at least the media suggested he had, for according to the press Henry Norris was now willing to sell his Woolwich Arsenal shares to local people. At the same time it was also confirmed that the 10 June 1910 share issue itself had failed. This was interesting timing, as on 13 June 1910 there was the AGM of the Football League. Norris now turned up with the report that the local people did not want to buy shares in Arsenal, and thus the notion of the club in Woolwich was dead in the water. He therefore revitalised the concept of Arsenal merging with Fulham and playing in the first division. But once again the League would not hear of it. They called Norris’ bluff: saying it was the deal as arranged (one year in Woolwich agreed with the League although Norris had now agreed to up this to two years in the side deal with Leavey). Meanwhile it seems that Archibald Leitch had changed his mind about a deal that Leavey had negotiated with him some time earlier for part payment of his work on the Manor Ground, and sent in a bill for the full amount he was owed by the old limited company. This adds curiosity upon curiosity, since it still gives us no idea why Leitch had let the bill sit unpaid for ten years. However the claim was against the old club, since it was in their time that the work had taken place and that meant that it was down to Charles Brannan, as liquidator, to sort out the arrangement, and that would mean that the other creditors would get less than they might have thought. What we must also remember is that Leitch had worked for Norris in 1905 when Fulham’s ground was upgraded and it may well be that Norris and Leitch had some sort of “understanding” which involved registering the claim with the old club for a future benefit of both men. Quite what happened we don’t know, except Leitch subsequently made no fuss, and he became a shareholder in Woolwich Arsenal FC. He also worked for Norris again in improving Highbury, and maybe that was all part of the deal. 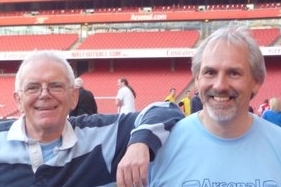 But at the same time that Norris was clearly intervening with Leitch to ensure that he did not become a problem for the new club, the fund-raising committee in Woolwich decided not to hand over to Hall and Norris the money they’d raised so far to support Arsenal. Then again, they (the committee) did apply for several hundred shares in the third Arsenal company (the one sponsored by Hall and Norris). Also at this time Norris went public (via the Kentish Independent) on the subject of share sales. He wrote and said that as thins stood only 520 shares in the new company were going to be owned by people living in Woolwich and Plumstead. The rest would be owned by Hall, Norris and Leavey. Norris, as we know, was not a man to soft pedal such issues and made it clear that he though the local team deserved more support, and that although he and Hall had done their bit, there was nothing more they could do. If the local people did not want a club, they that would be that. If however (he continued) people thought he was not the right person to take the club forward, so be it, he would stand down. All they had to do was to indicate by 17 June 1910 that they wanted to take over, and that would be that. Such a take over did not happen and subsequent exchanges in the local press showed exactly why. The level of in-fighting between various factions was if anything more intense that the arguments being heard against Norris and co. The Fulham men became by-standers to a very local public squabble.